Add this luxurious facial treatment to your skill portfolio, your clients will be in heaven when they book in for this! 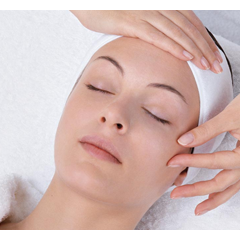 When it comes to choosing a facial product for your client you will know exactly what they need. This course is not brand specific so you choose which type you want to offer on your treatment list to your clients. This is a 1 day FULLY ACCREDITED training day. * Apply faical luxury masks and much more! All tools and equipment will be available for use on the training day. Tutors are on hand 7 days a week to provide ongoing support. I have learned so much today and really look forward to putting everything into practice when I start my case studies. a really enjoyable and educational day. For a complete novice with no prior training this course was awesome. LOVED, doing the facials with Danielle. Very welcoming friendly staff good class size and products. Had agreat day , very informative loved every minute had a facial myself which left me feeling relaxed. I absolutely loved this day course. i feel like Ive learnt so much and had fun too. My tutor was fantastic, chatty and made me feel welcome. Comfortable and was very friendly, I would definitely recommend SurePass Beauty !